You don’t always wish to remain online on WhatsApp. So you search the options to go offline. 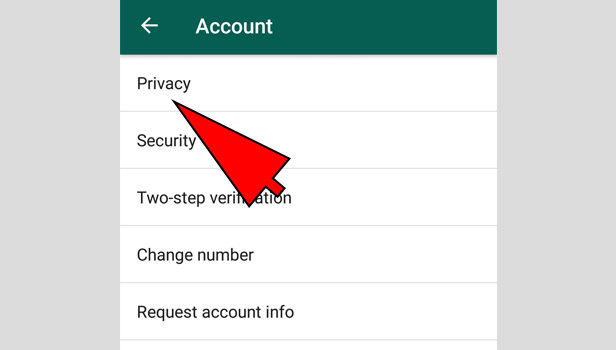 To appear offline on WhatsApp follow this easy step by step guide. WhatsApp is considered to be the highest ranking messaging app. There are many interesting features in WhatsApp. You can see if someone if online. You can also find out when a person last came online. 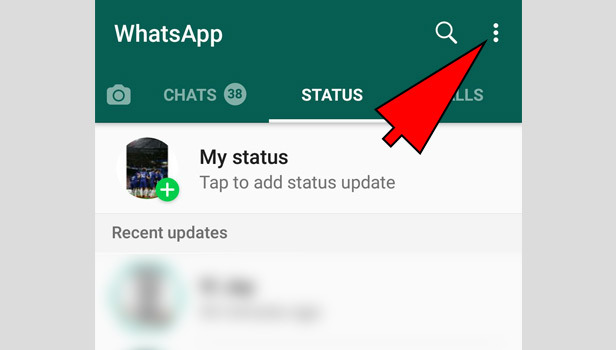 There is another feature in WhatsApp where a person can appear offline on WhatsApp. A person can choose if he wants to appear online or offline on WhatsApp. A lot of people do not enjoy chatting so much. 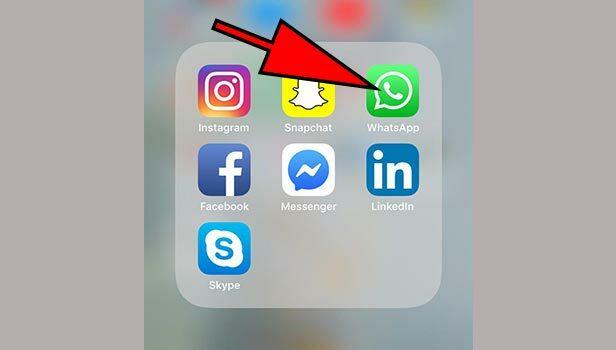 For their convenience, WhatsApp have the feature to appear offline. You can also change that option when you feel like. 1. 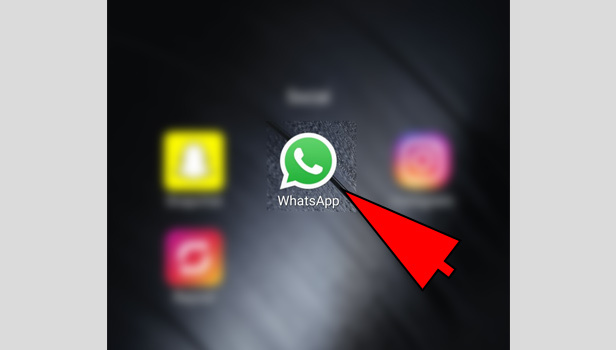 Open the WhatsApp App on your smartphone - The first step will be to open the WhatsApp App. It is a green color with white border icon. 2. Open the three dot option - Look at the upper right corner of your screen. You will find the three dot option. Tap on that. It will further take you on the road of how to appear offline on WhatsApp. 3. Open settings - After opening the three dot option, open settings from there. It is the bottom-most option. 4. 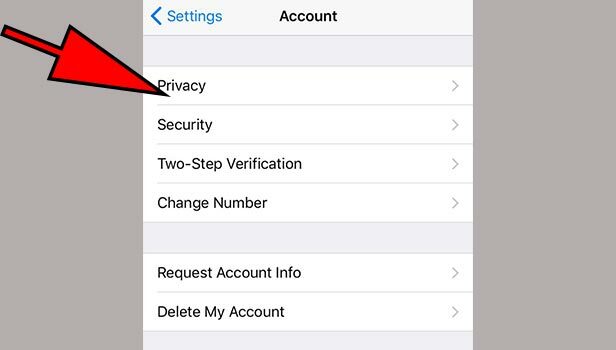 Open account - Tap on the accounts option. It is the icon of a green key. 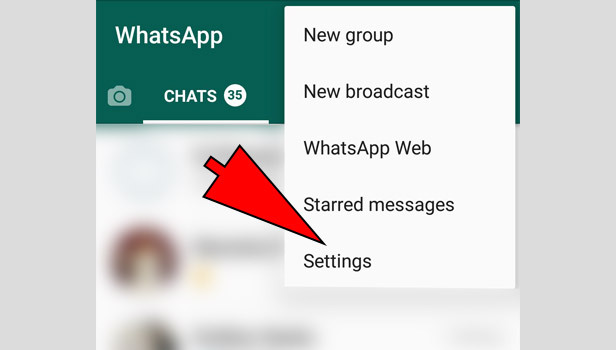 Now you are almost there at appearing offline on WhatsApp. 5.Open Privacy - Click on the Privacy option. It is the top-most option there. 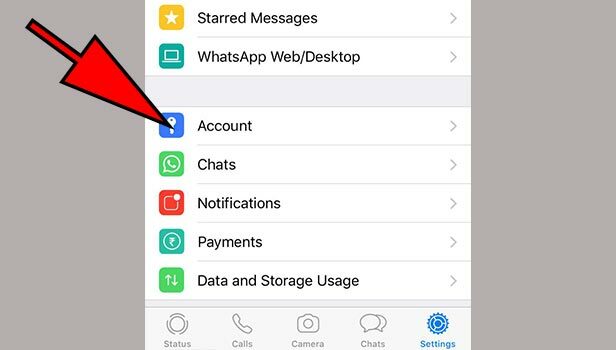 It is from here where you have to change your account settings to appear offline on WhatsApp. 6.Open Status - Change the settings of your account. Start from your status. 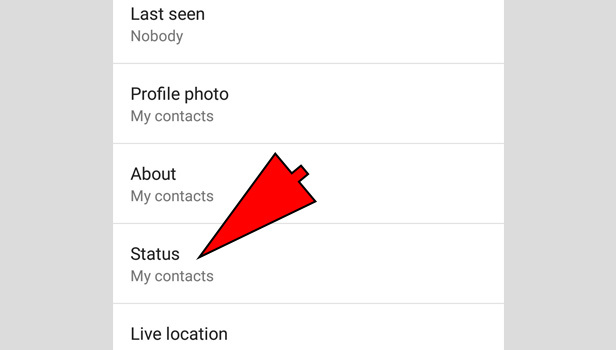 Change the option of who can view your status to nobody. Select the option of making your status appear blank. This is your first settings change. You are almost there to appear offline on WhatsApp. 7. Click on the tick button - After changing your status settings, tap on the tick icon on your bottom left. 8. Click on last seen - You have changed your status settings. Now it is time to change your last seen. By changing this, no one can figure out when you last came online. 9. 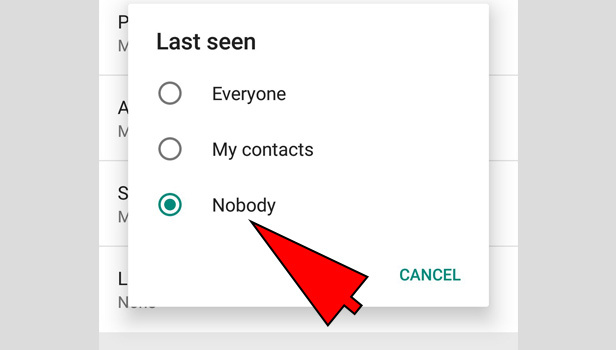 Select Nobody from last seen - Choose the option of nobody under last seen. 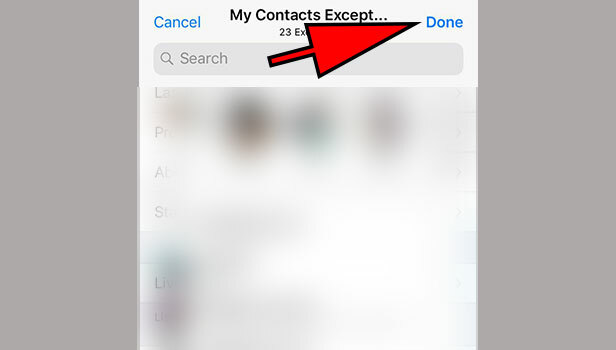 By clicking on this option, nobody will be able to see your last seen. Now you have changed all your settings. Nobody can see your last seen or status. If you wish, you can also remove your display picture. Now you are completely offline on WhatsApp. You can enjoy your time peacefully. 1. 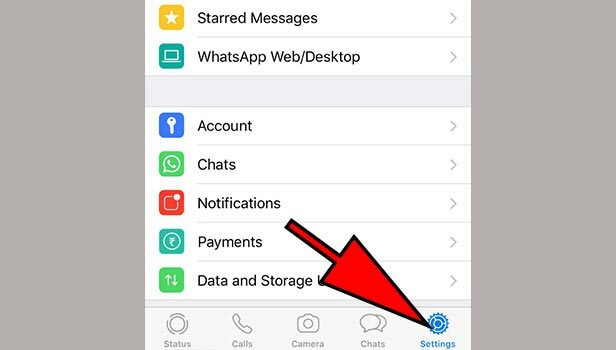 Open WhatsApp - The first step to appear offline on WhatsApp will be to open the WhatsApp messenger on your iPhone. It is green with white border icon. 2. Open Settings - Click on the settings option. It will be on the bottom right corner of your mobile screen. 3. 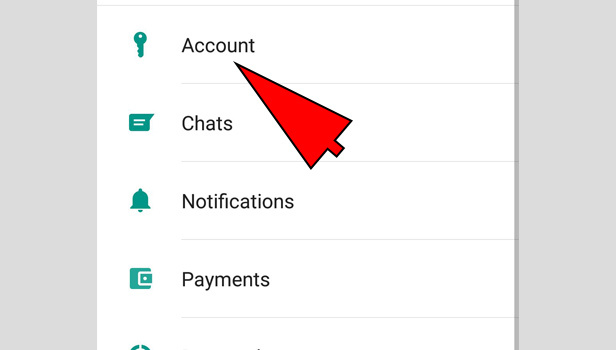 Open Account - The next step to appear offline on WhatsApp will be to open account. It is the key icon. 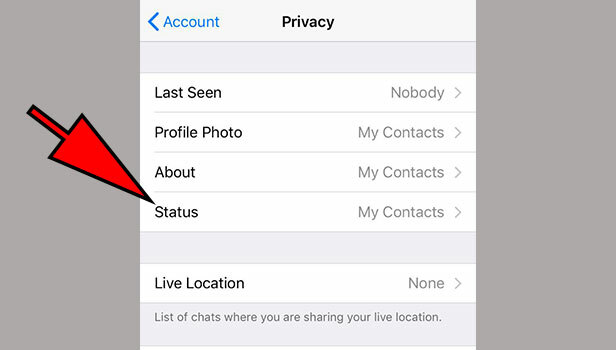 From here you will change your privacy settings in order to appear offline on WhatsApp. 4. Open Privacy - Click on the Privacy option. It will be the top-most option on your screen. 5. Open Status - Click on the status option. Change your status option to ‘ your status will appear blank’ Choose the option ‘ do not share with anyone’. By doing this, nobody will be able to view your status. 6. Select Done - After changing the status settings, choose the option one. It will be on the top right corner of your screen. 7. Open Privacy - Again choose privacy. It will be on the top left corner of your mobile screen. 8. Open Last Seen - Choose the option of last seen. Click on it to change your last seen updates. 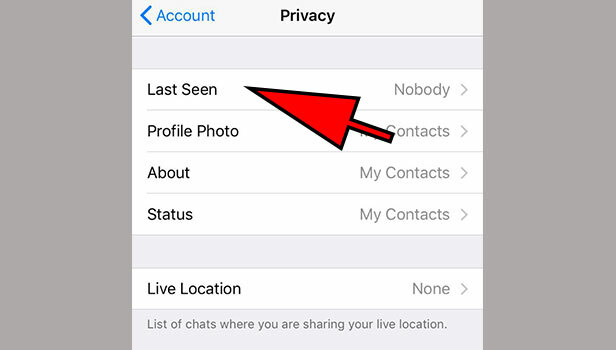 If you wish to appear offline on WhatsApp, choose the option of not sharing your last seen with anyone. For that, tap on the option ‘nobody’. 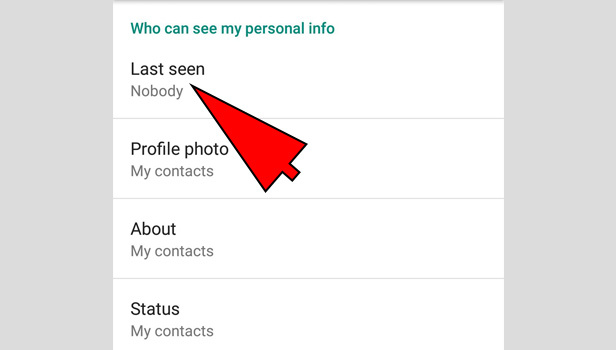 Now nobody will be able to see your last seen timings on WhatsApp. 9. Select done - After changing your last seen option to nobody, select done on the bottom right corner of your screen. Now, you have become absolutely offline on WhatsApp. Nobody will be able to view your status or even know your last active time.